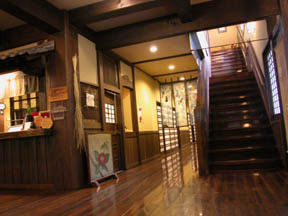 A main building lobby, inside of a hall. 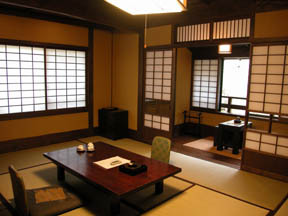 A profound feeling enough wooden structure, a Separate-from-main east building guest room. 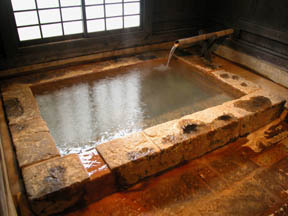 Family hot water, the bath of a hewn stone. 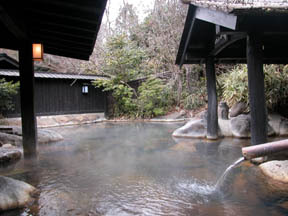 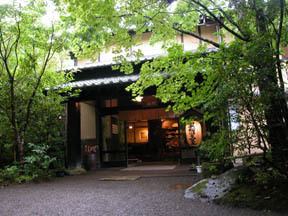 A mixed bathing open bath, the hot water of a Moyai.